Khaki "has been used as a color name in English since 1848. In Western fashion, it is a standard color for smart casual dress trousers. However, the name is sometimes also used to describe a drab green color ".... Insert my skirt (wikipedia). 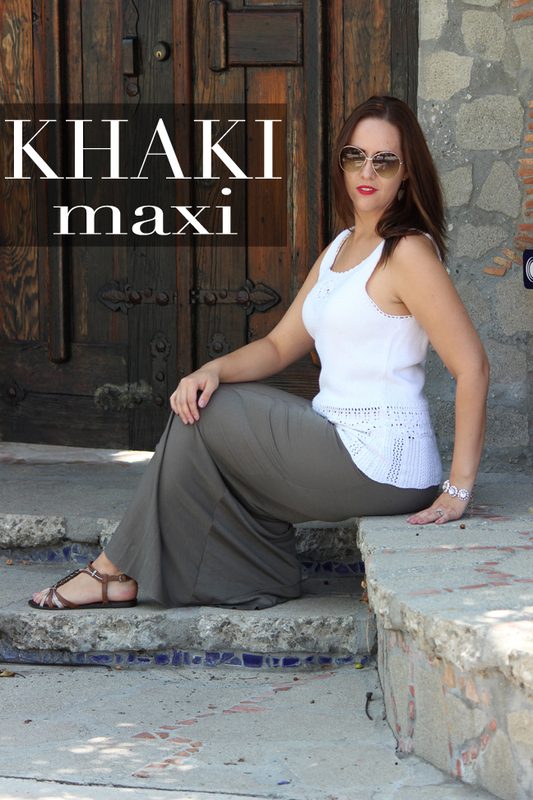 Okay, I'll agree, this green khaki might appear drab at times, but I happen to love this maxi skirt! I love pairing this khaki green with red. Red and Green are complimentary colors on the color wheel, so they are a natural pairing. You have to be careful however, red and green can go Christmas very quickly. Thus, why I went with just a bold red lip. We should also address my obsession with Ebay accessories lately. I have been late night browsing, and finding some really cool stuff. This white floral bracelet is a J Crew look-a-like, and I am pretty obsessed with it! Are you an Ebay shopper? What cool stuff have you found? Great outfit! Khaki/olive green is one of my favorites...it works with so much! 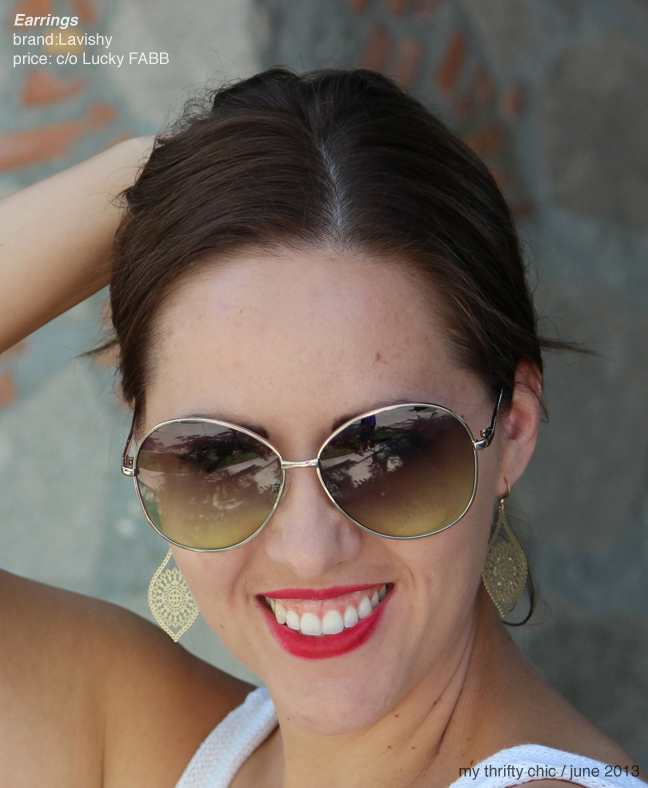 Great summer look! You look wonderful!! I love a good neutral maxi, and you look great!! I love that bracelet, too! Beautiful skirt - neutral colors are always a win! The sandals you paired with it are perfect! Loving that bracelet - absolutely stunning! Stopping by via the blog hop! Your outfit is a great choice for vacation, easy breezy! Love the bracelet too! Perfect summer top and I want to copy that foot tatt location, perfect. Great outfit and that bracelet is very cute : ) I have purchased an owl pendant and a red statement necklace recently on ebay for next to nothing! I see lots of stuff I like. I usually hate khaki but this is so cute! You always seem to find the best things!